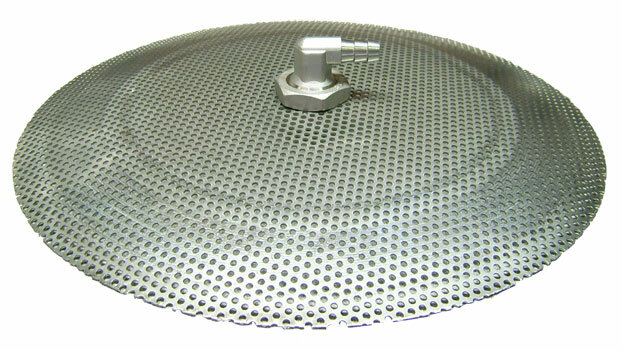 This 12" Diameter Stainless Steel Domed False Bottom is the perfect size for a 10 gallon round beverage container, or larger, like our Rubbermaid coolers or a sanke keg. The dome shape keeps the false bottom from sitting directly on the bottom of your container so it won't impede the flow of wort. 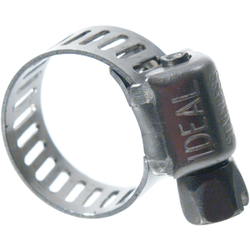 Made from stainless steel with 3/32 perforated holes on 5/32 centers. 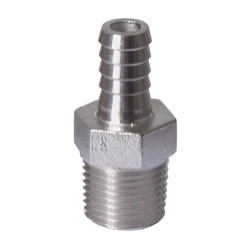 The barb fitting is 3/8 inch.